Jobhunt.co.il claims they can find you a good Israeli hitech job fast. Sound good? Let's take a deeper look. When Jobhunt.co.il's Ron Ozery first approached me to sponsor this article about his service, I had already heard of Jobhunt but was only familiar with the website. Now I wish that I had known sooner about the service and its unusual guarantee. Tired of job searches that were taking too long and of placement companies only having company interests in mind, a group of Ben Gurion University students helped each other find hitech jobs. When that worked out well, they decided to stick together and help other hitech job seekers as well. Jobhunt.co.il was born. The stated purpose of Jobhunt.co.il is to “create a vibrant community of people helping each other to get the best jobs in the shortest time.” Jobhunt tries to do this via its website and its service. A discussion forum covering hitech job interviews and other recruiting issues at Israeli hitech companies. A bank of job interview questions and answers that community members were asked in their own job searches. Tip guides with advice on topics such as resume writing and surviving group testing. The website design is functional but basic and in need of an update to make it easier to use. Amazingly enough, there's no way to search the site. However, it is possible to search the active discussion forum. The tip guides and interview questions are helpful and sometimes they are in Microsoft Word (doc) format for you to download. Although not marked anywhere, Ron assured me that the files are all scanned and confirmed to be virus-free. The forum is the best part of the site. For the most part, job seekers recount their recruiting process experiences with companies across the Israeli hitech industry and you should too. 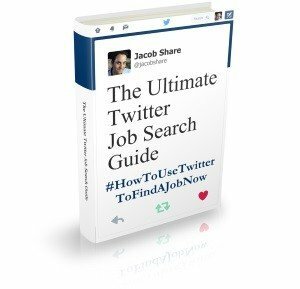 It's a great way to research a company that you're targeting and share your job search anecdotes for the benefit of others as well. Translated from Hebrew, the official Jobhunt.co.il tagline is “working for you”. Here's how it works. You submit your resume via the website. Every submission gets a reply. Qualifying candidates will be invited to a personal job search consultation at their offices in Ramat Hasharon. If the Jobhunt.co.il team is confident their work can get you a job, they will propose their services. Over the next few weeks, they will coach you and get interviews arranged for you until you're hired. You only begin paying the first installment of the Jobhunt.co.il fee of NIS 4300 (US$1200) when you receive your first paycheck. Are you a qualifying candidate for the service? The Jobhunt.co.il service is aimed at people who are looking for hitech jobs in Israel. Their success stories page can attest that they've helped Hebrew speakers but also French and Russian speakers as well. One of the reasons that Ron Ozery approached JobMob is to emphasize that they do also help English speakers. Ron says that the service is especially popular with new immigrants. A new oleh from Venezuela is currently enjoying how the service is helping with translation and understanding of the Hebrew encountered along the way to the new job. That said, Ron agrees that Hebrew is NOT a requirement for job search success in Israel but that even a low level of Hebrew can tremendously increase your chances. What is in the Jobhunt.co.il services package? One Jobhunt.co.il success involved an Israeli-Arab who studied electronic engineering at a London university. When he returned to Israel, he couldn't get one interview. Jobhunt.co.il was able to get him interviews right away and he was hired within 2 months. How long is a Jobhunt-guided job search? On the average it will take 10 weeks to find you a new job. The Jobhunt.co.il team are so confident in their ability to get you a job that you only begin paying when you receive your first paycheck, the first of 3 monthly installments. That's it. If their work doesn't turn into a job for you, you pay nothing. Not only that, but if your new company ends your contract within the first month or two, Jobhunt.co.il will continue helping you at no extra charge. Absolutely. If I had known about Jobhunt.co.il during my last Israeli job search, they would have been the first recipients of my resume. I would rather spend time in interviews than spend time trying to get interviews. Also, the cost is easy to justify when you consider that every week of your job search is another lost week of salary. Since you pay when you're paid and never need to advance anything out of your own pocket, you really have nothing to lose. You can submit your resume to Jobhunt.co.il via their website. Need for speed? 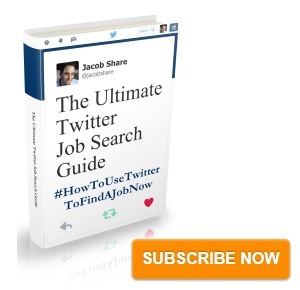 Subscribe to JobMob via RSS or email to accelerate your Israeli job hunt. there is a great database of questions from job interviews… I saw it a while ago and looked for it for a long time so thanks ! Glad you enjoyed the writeup, Eli. Did you also use the Jobhunt service? Isn’t it illegal for a manpower agency to charge the job-searcher for finding them a job? They are legally supposed to charge the company the worker will work for (I thought). Shira, I think you’re right… in the case of a manpower agency, which bills a company for its services. That’s not what Jobhunt does though; they charge a fee only if they find you a job, and they’re not paid by the company. The job seeker is the sole client. Right – and as they are charging the one searching for the job it is probably illegal – nevermind the fact that it is unethical. My guess is that they are on shakey legal ground at best and that is why they are targeting immigrants. I suppose that they could say they are providing job counselling services and that they only charge once a job has been found. If that is the case then it is most likely fine. Shira, I’ll try to see what Ron Ozery’s take is on this. Why do you think charging the job seeker is unethical? If they’re performing a service for the job seeker – finding them a new job – shouldn’t they be compensated for it? If they were also getting a kickback from the company for the hire, then I would certainly agree with you. Yes, I do think that charging the job seeker is unethical. You are taking advantage of someone in a bad situation. It makes more sense, and is more ethical, to charge the company. They spend money anyhow to find the right people, and they are in the financial position to pay. Shira, a few things to think about (and thanks for giving me blog post ideas, always appreciated!). First off, not every job seeker is in a bad situation or even unemployed. In this day and age, many people hop from company to company and in fact, recruiters often prefer trying to lure someone away as opposed to placing someone who’s unemployed. Also, companies don’t always have a lot of money for recruitment, especially small companies that are struggling to grow. Back to the interesting debate. If a job seeker comes to you and says, “I’m willing to pay you to find me a job”, and you do it to their satisfaction, how is that unethical? There’s no coercion, everyone walks away satisfied, no one’s human rights are violated. 1) The person taking this service will not currently be working. If they were working they will not be needing the service. 2) The person taking this service will be in a situation of desperation. If they were not desperate they would never even think of paying someone else to find them a job when there are plenty of manpower agencies out there who will do it for you for free. As such it is taking advantage of someone and is unethical. Granted, there is no coercion, but it simply wouldn’t be used by someone who had any confidence in their own abilities. Like I said, if they were coaching on how to take the psychometric test or things like that then that is something else. I agree that by far most of the people using a job search outsourcing service will be unemployed. But I disagree with your second point. As I said in the blog post itself, I would rather be interviewing than trying to get interviews. But there’s something else that needs clearing up. One of the points that the Jobhunt site makes is that placement agencies’ clients are the hiring companies. As such, the placement agencies’ interests are with the hiring company and not with you i.e. the job seeker. They will only try to help you as long as they smell the hiring companies’ commission, to use an expression translated from Hebrew. And frankly, that makes perfect business sense. The placement agencies may be enjoy helping job seekers as a side benefit but that won’t keep them in business; only their (hiring company) clients will. I can understand why you are saying what you say but you have to understand that this service is not for immigrants ! We provide our service only to the hi level Hi-Tech jobs ! Its hard to say that we are taking advantage of poor people with no jobs … more than 60% of our clients are working and want to improve their jobs ! you can put an add on your car and something its enough … but if not you will post an add in the newspaper to bring you more buyers ! Its not wise to say that the newspaper is using you because he provide you this service ! Our service is coming to feel a need thats all . Yes its new and unique but its enough to look at the number of people that are joining this service after a friend or a family member recommend them about it !!! The buzz is amazing . Its a great community that gives great value ! And its win win situation – if you are not satisfied you want pay nothing ! ???? ???? ????? ????? ???? ????? – ????? ?????? ?? ?? ???? ??????? ?? ???? ? ?, ??? ??? ???? ???? ????? ????? ?? ???? ?? ???? ???? ????? ???? ???? ?? ????? ????? ????? ????? ????? ??? ???? ?? ??? ??? ?? ???? ?? ?? ???. ?????? ??? ?? ???? ?????? ?????? ??? ?? ???????? ??????? ????? ???? ??????? ??? ????? ????? ?? ???????? ???? ?????? ??. ??? ??? ??????? ????? ?????? ????? ???? ?? ?’ ?? ?????? ?????? ?- ?????? ???? ??? ??? ????? ?? ?? ?????? ????? ??????. ??? ???? ????? ?????? ???? ???? ???? ???? ?? ?????? ??? ??? ???? ???? ??? ??????? ????? ????? ? ????? ?????? – ?? ???? ???? ???? ????? ?? ?????? ???? ???? ?? ????? ! ??? ???? ??? ????? ?????? ?? ?????? ??????? ??? ?????? ??? ???? ?????? ???? ?????? ????? ?? ??? ??? ???? ?????? ??????? ??? ???? ????? ?????? ?????? ????? ?? ??? ?? ???. You are taking money from the person looking for work in order to find them work. This is illegal. I charging money for a service that sends your service to a large community ! Whats Ilegal in that ? we found a job for a guy that hes father is a judge ! to ceo’s and managers ! do you think that if it was ilegal we could get away with it ? The law that you are talking about is about charging people money to get to a job ! Can you understand the diffrence ? I can asure you that evrything is kosher and ethical ! I called Ron. He’s very nice, polite, and insists that I have misunderstood the law. Unfortunately my Hebrew isn’t enough for him to explain to me and his English isn’t enough for me to understand him. 1. This service is for high level high tech engineers only. 2. They find the job for you. In which case, the engineers time would be worth more than the amount the company charges to look for work. Hence, it would make sense to outsource such a thing. Of course, the conversation was awkward and short – so I could very well have this completely wrong. Shira, it sounds like you understood everything correctly but that Ron was giving you specific examples. For instance, the service isn’t only for engineers but it is only for people in hitech. Currently-working execs could use it, but so could other people in the industry. Ultimately, Ron’s team decides whether they can help a candidate (or not) first with a CV and then with a interview. Nothing illegal as far as I understand. They are offering a service and the fee is posted up front. (as you mentioned in your replies to Shira). If you don’t have the money don’t buy the goods. This is a superb idea! It saves the job-hunter a lot of time! Job Hunt is a site that saves you the time of searching through ads for employment in the Yisraeli papers in the classifieds. It is a novel idea, that they look for you and translate the Hebrew if you need help! This si a trued time-saver and perfectly legitimate business! It really seems suitable for Jews living in the Galut abroad and making aliyah. Why not give it a try? B’Hatzlachah! This won’t improve your shaky arguments, of course, but will make you sound half intelligent. I constantly strive to improve my English and to articulate myself more eloquently. Thus, I thank you for your constructive critique. .-= Ron Ozery´s last blog ..שחזורי ראיונות עבודה בהייטק • Re: הצעות עבודה =-. Charging the job seeker is not unethical as long as he knows in advance that he will be charged and agrees to that. However, I see no reason for a hi tech personal employed or unemployed to pay money for a company to help him find a job when there are so many companies that will not charge him for that. I suggest anyone who is looking for a job in hi-tech to read this great article (in hebrew): . I know this is an old post but in case people come across this post in 2011 like I did I want to add some information that I read about JobHunt. I haven’t used their services nor do I plan on using their services. After you sign with them even if you find a job through your mother, sister, uncle, friend you still have to pay them 5000 NIS. Also, I personally don’t see why employers will approach an agency that they know asks job seekers to pay when employers know that there are so many free agencies out there and most job seekers won’t pay for this kind of service. These are my thoughts about the service. Thank you for your response, I’ll be happy to comment about what you said. First of all our service is a premium service, and the price is 20% of the first salary or 5,500 NIS + tax. the payment is devided to 3 and you only start to pay after you find a job and after the first salary. This service is great if you are not happy with the current results of your jobhunt and you want something more powerfull – more interviews & more focus in your career goals. To whom it may concern: I have received a letter from an attorney representing Jobhunt asking that I retract my earlier statement and delete by comment. Unfortunately, I do not know how to delete my comment. However, I have been urged by my wife to avoid any legal battle with this company and for this reason I retract my earlier statement regarding Jobhunt. As instructed by Jobhunt’s attorney I likewise appoligize for any damage that may have been caused by my post. This post generated a lot of controversy.